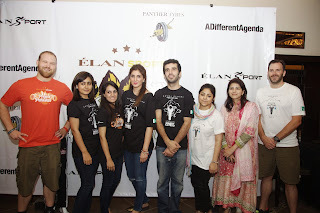 Lahore: 26th June 2013] Élan, one of Pakistan’s leading luxury fashion brands, announced their collaboration with renowned biking enthusiast Moin Khan on an exciting new project titled “Project Pakistan” at a press conference held at Veranda Bistro in Lahore on 26th June 2013. 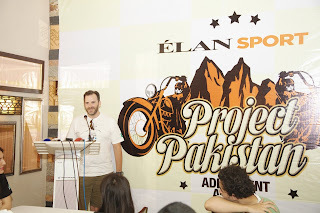 After his historic bike ride from California to Pakistan, Moin Khan, along with two other international bikers, is now embarking on a motorbike journey across Pakistan to discover the beauty and heritage of the country and disseminate a positive image of his fellow countrymen. In addition to co-sponsoring this initiative, Élan has designed a special line of sportswear which will be available at all Élan outlets and leading retailers nationwide under the label, Élan Sport. 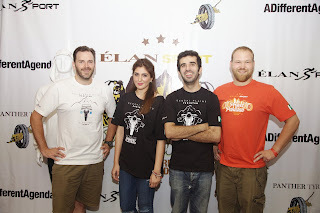 Creative Head of Élan, Khadijah Shah and biking enthusiasts Moin Khan, Michael Philip Stewart and Kyle James Haggmark addressed an august gathering of journalists, friends, family and special guests on the occasion and spoke of how the “Project Pakistan” initiative would contribute towards projecting a softer image of Pakistan to foreign audiences. 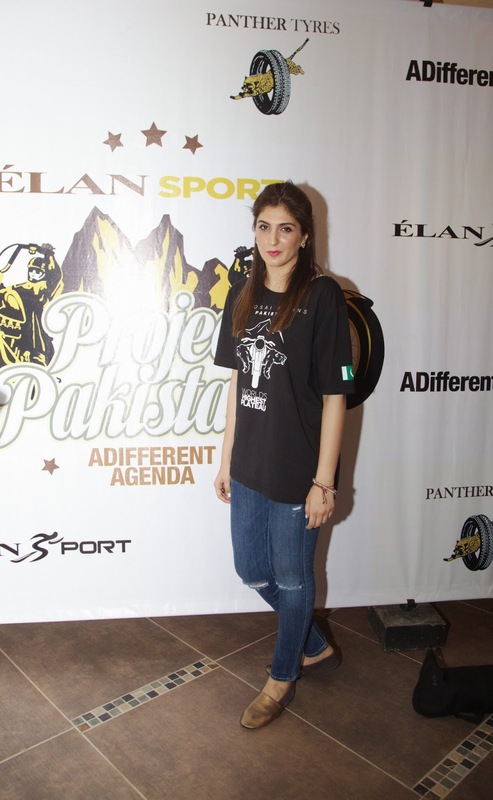 After the press conference, Élan unveiled their new exclusive line of sportswear and showcased the motorbikes which Moin Khan and his fellow bikers would be riding on their trip. The press conference was well attended and featured renowned designers, socialites, media personalities and other guests. 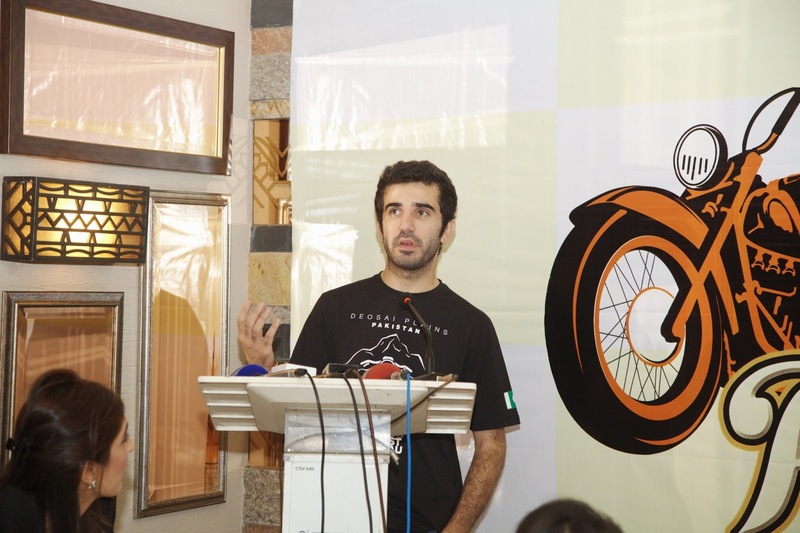 Public Relations for the event was handled by Lotus. Moin Khan will travel with foreign bikers Michael Philip Stewart and Kyle James Haggmark to Pakistan’s famous cities and landmarks. 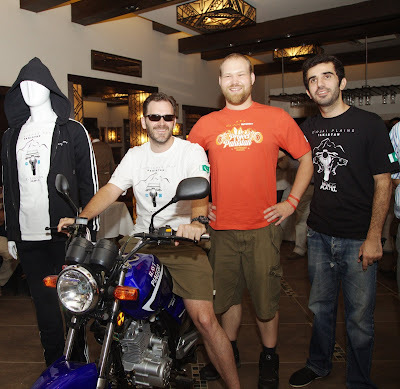 Originally, more bikers had planned to accompany the team on their landmark trip, but as a result of the recent tragedy at the Nanga Parbat base camp at Diamer, a majority had to abandon their plans due to security concerns. 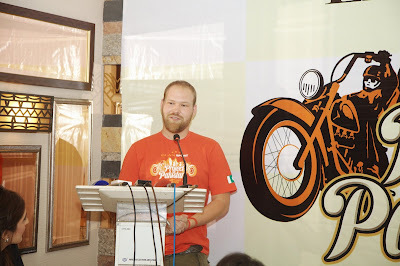 The trip is tentatively scheduled for the last week of June 2013. In addition to biking, Élan has lent its support to different sporting pursuits in the past, previously supporting the game of polo through the sponsorship of a local tournament, the Élan Polo cup held in 2013.